שלום, and welcome to the Video Lesson Sampler. We're excited to showcase our new video edition. 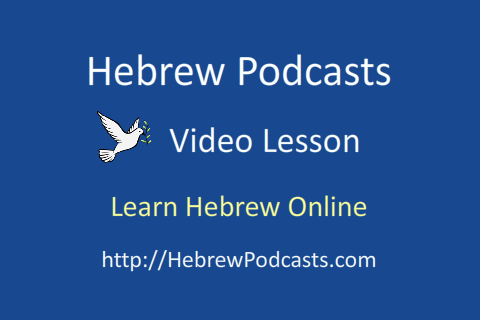 Hebrew Podcasts now offers its members a video version of each lesson. You can use the videos to learn Hebrew online or download and watch them on a portable media player. In this video sampler, we'll see excerpts from four different lessons. Download the Video Lesson Sampler in MPEG-4 format to your computer. You can then put it on your iPad, iPhone, iPod, Android, or other video player that supports the MPEG-4 (MP4) video file format.